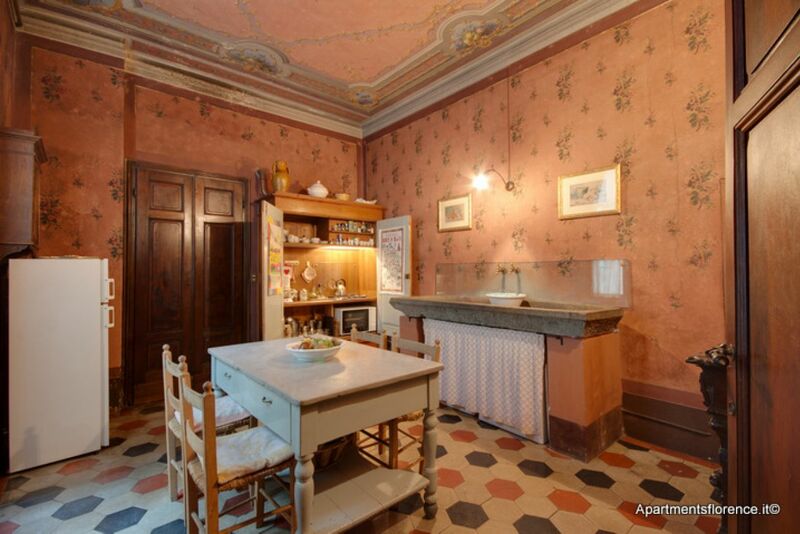 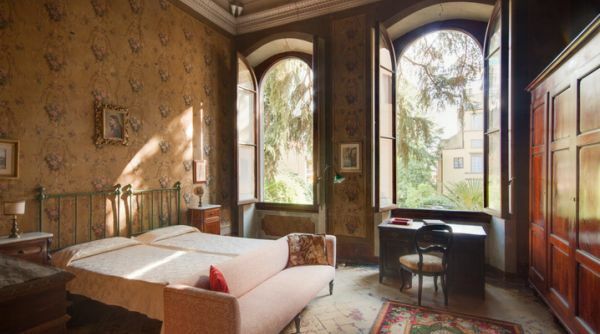 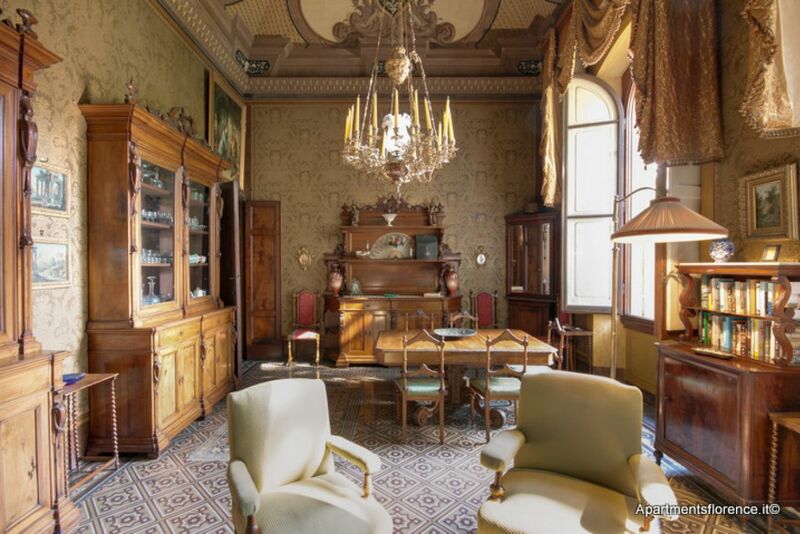 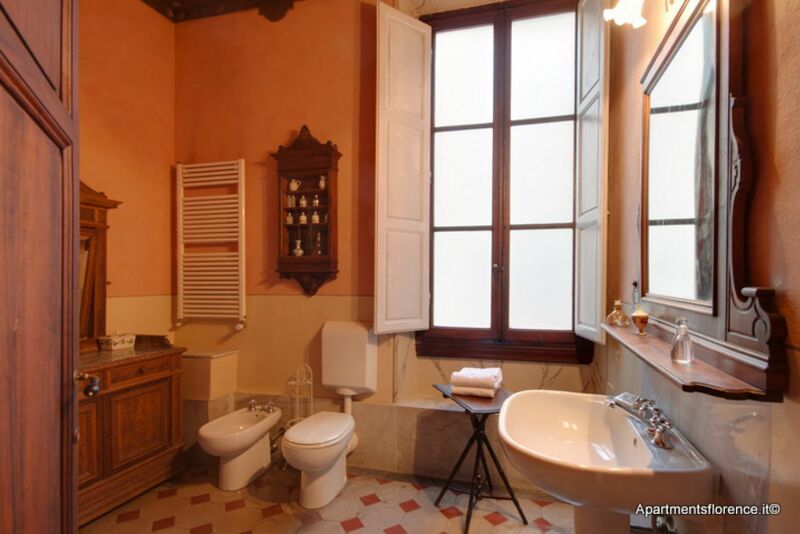 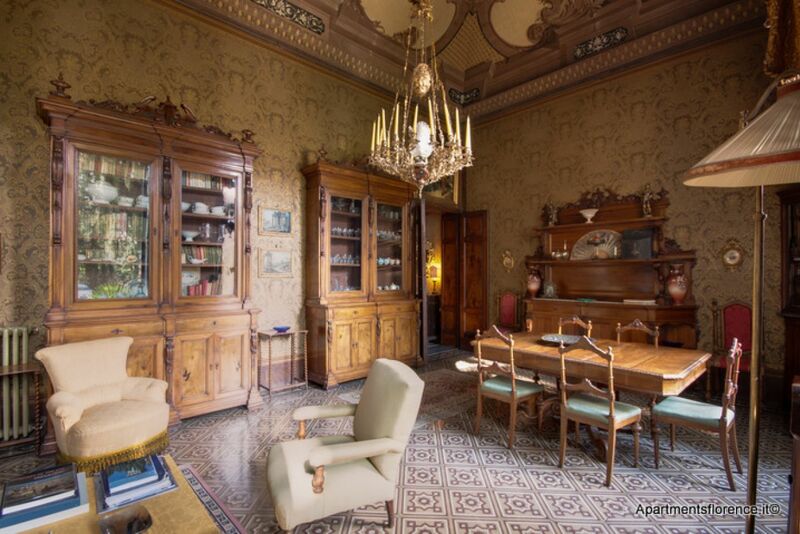 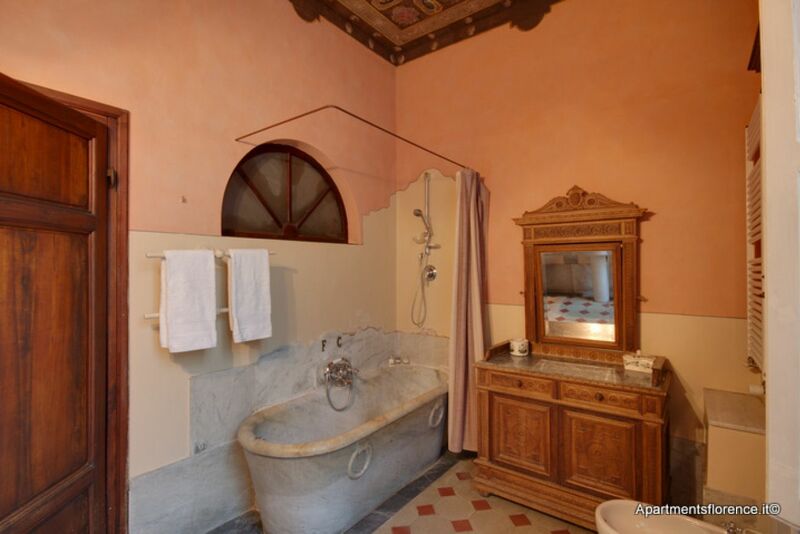 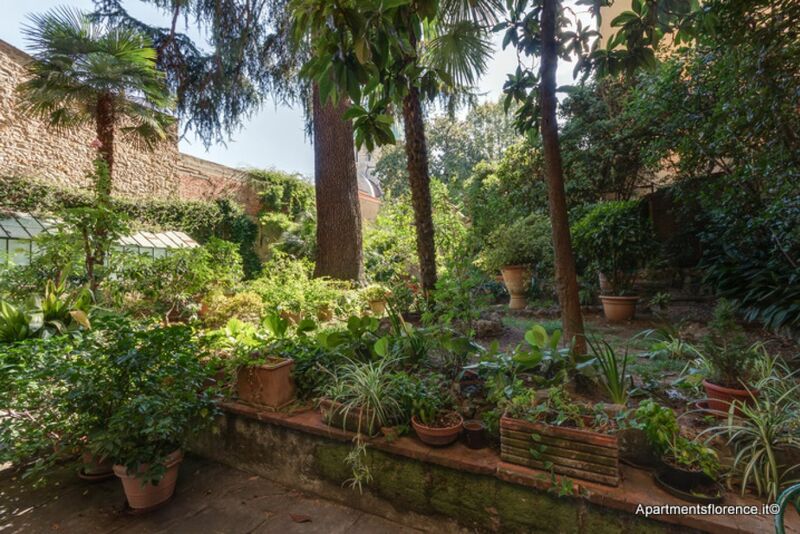 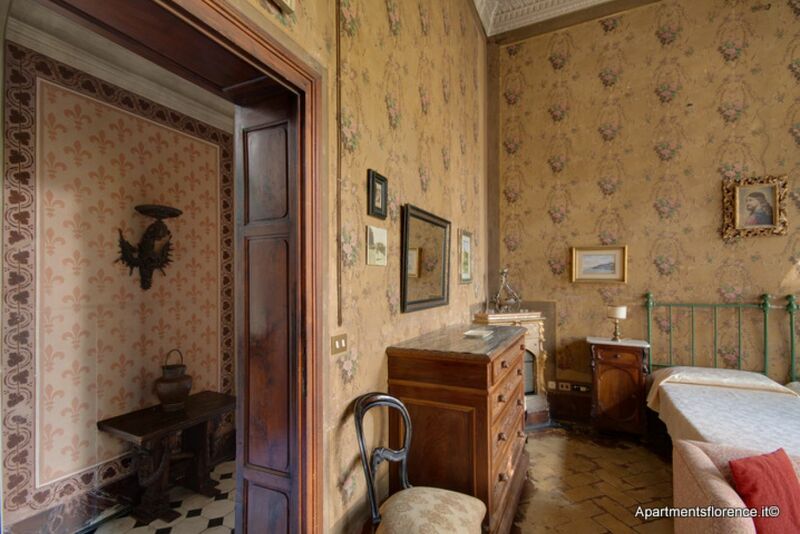 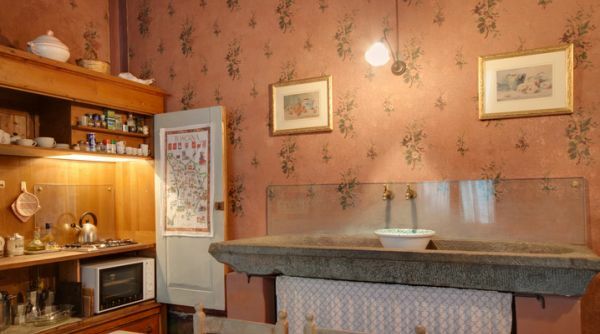 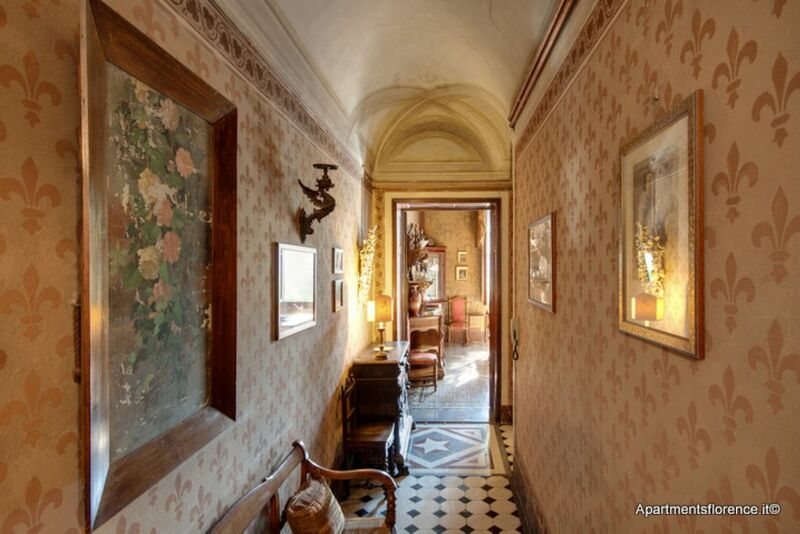 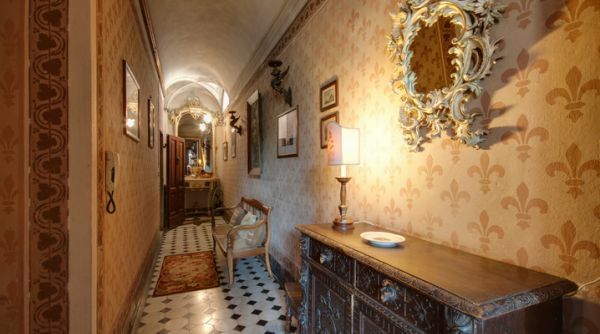 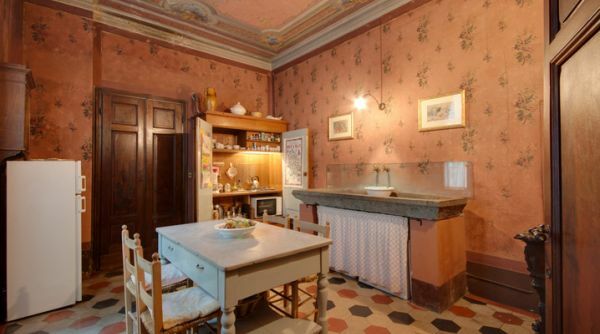 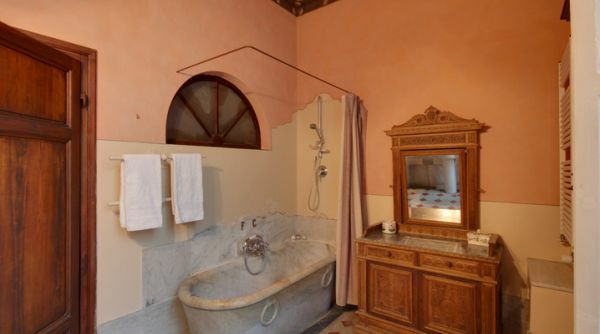 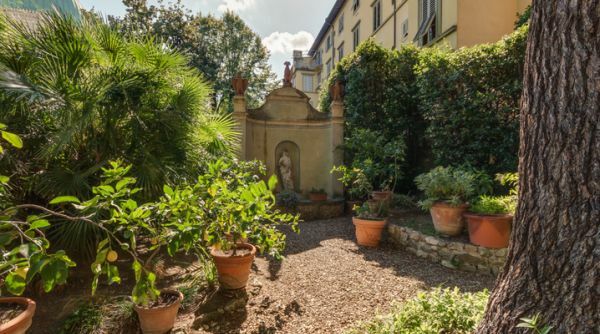 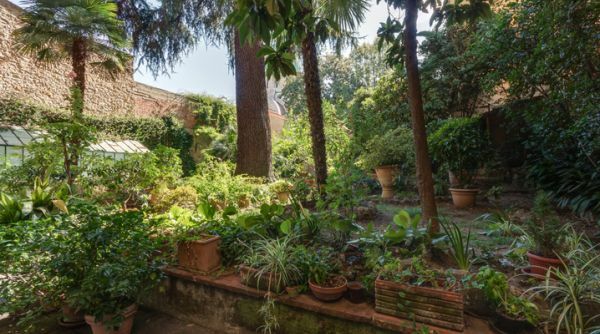 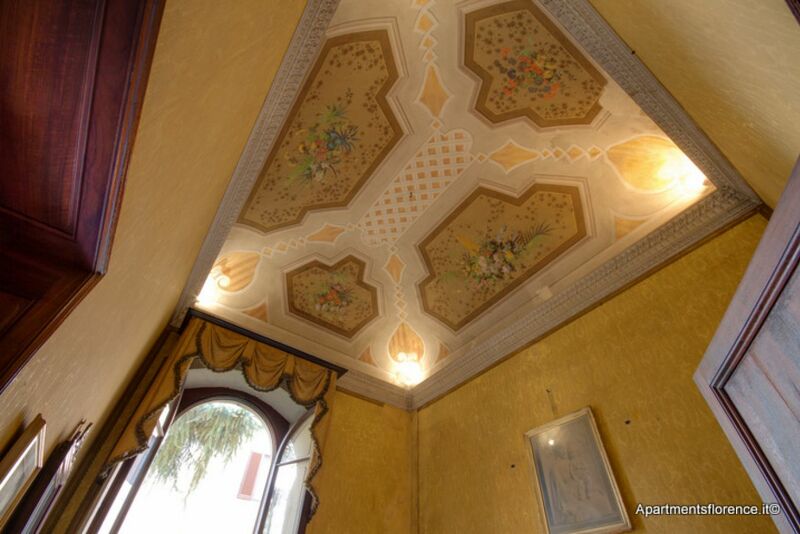 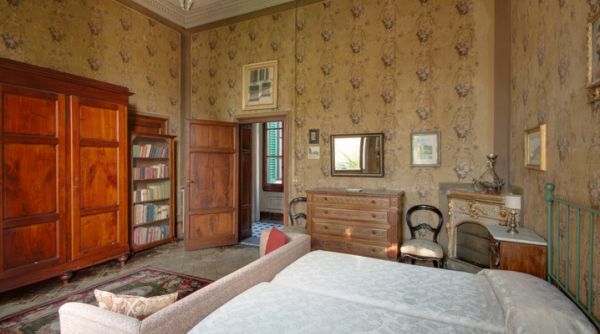 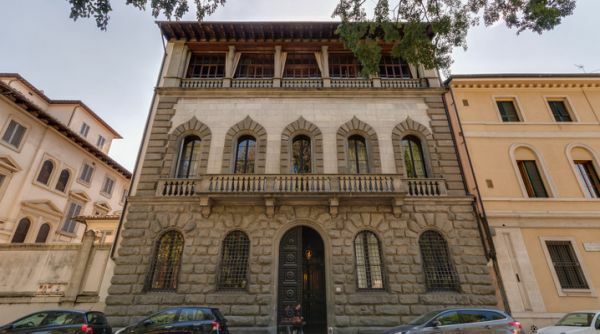 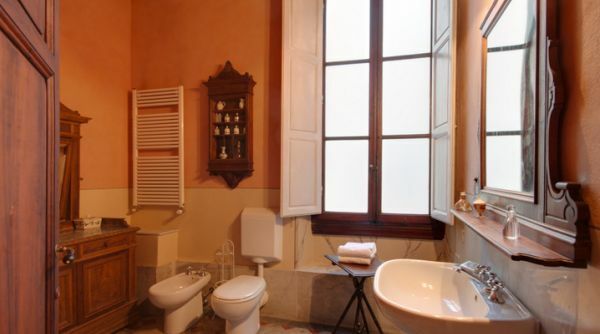 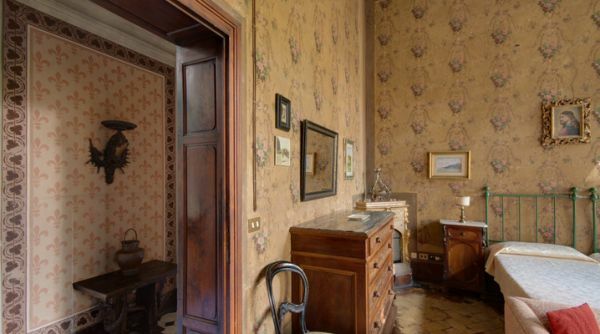 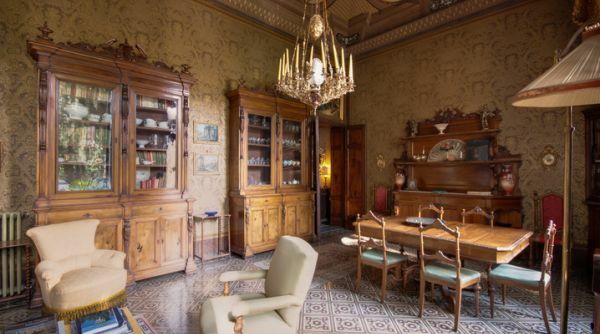 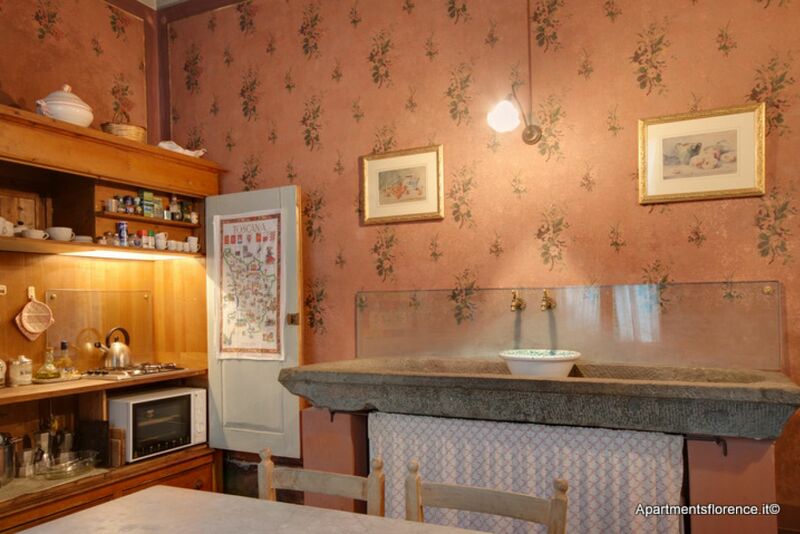 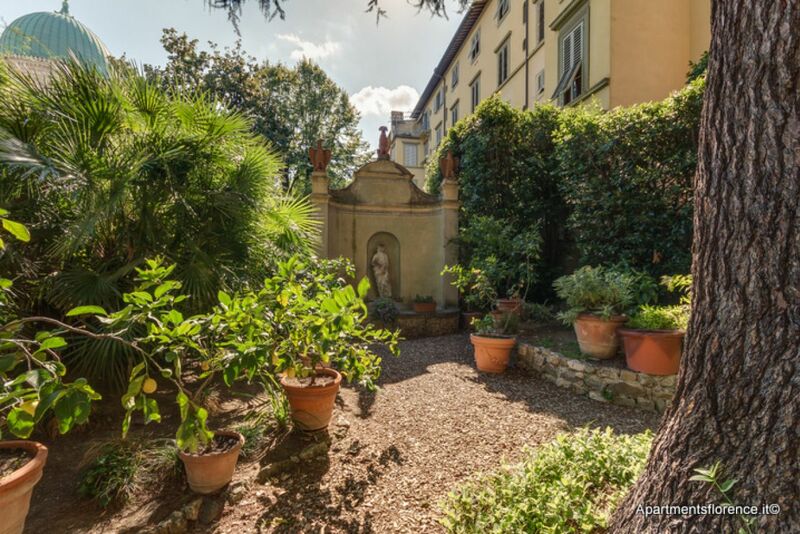 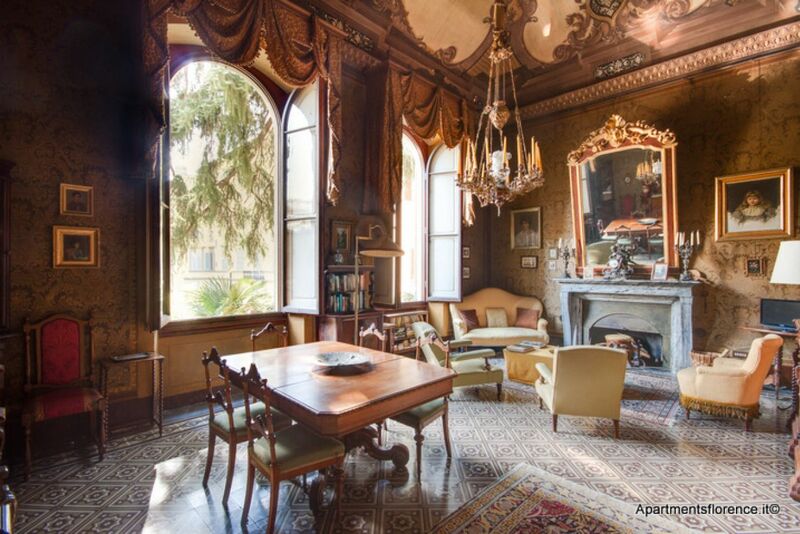 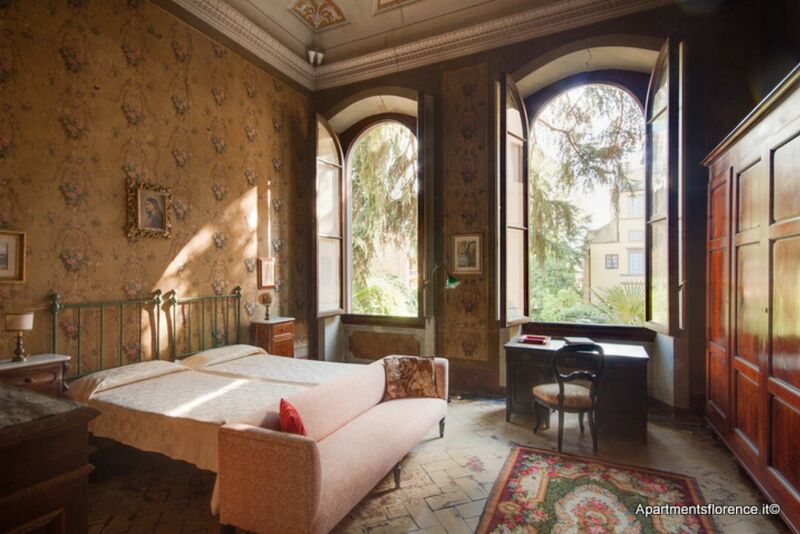 Piazza d'Azeglio in Florence, apartment for rent 2 bedrooms. 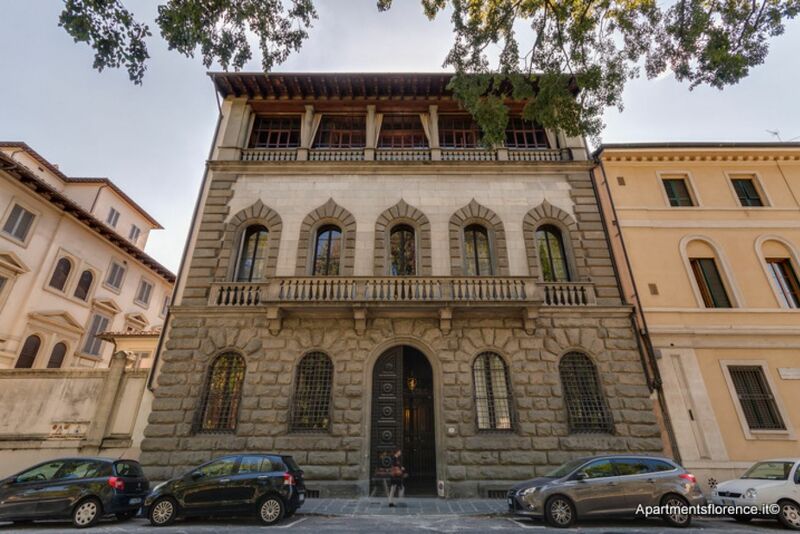 The apartment is located on the first floor (one up) of a residential building at Piazza d'Azeglio, a spacious tree-lined square surrounded by residential buildings. 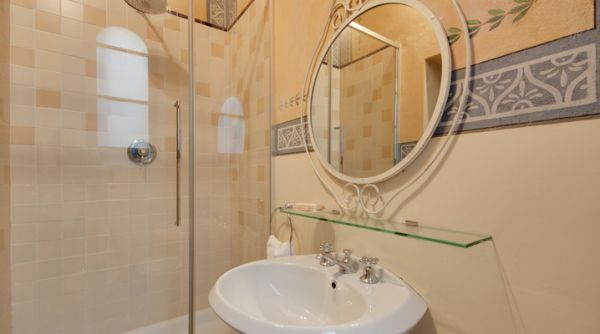 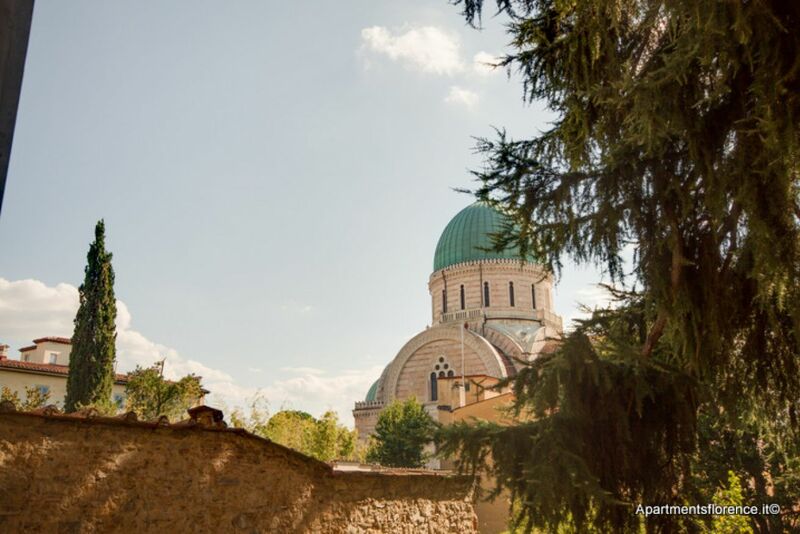 You are within a five minute walk to Piazza SS Annunziata and a ten minute walk to Piazza Duomo. 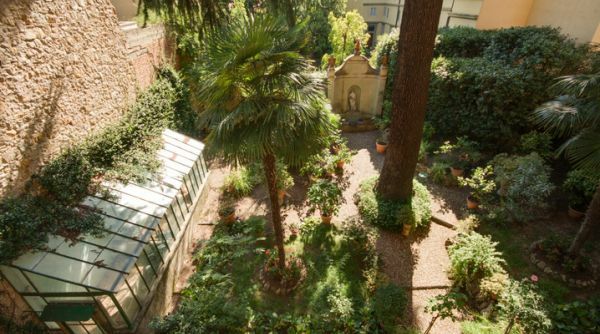 Outside your doorstep is the wonderful Sant’Ambrogio fresh market that is open until 1pm each morning except for Sundays. 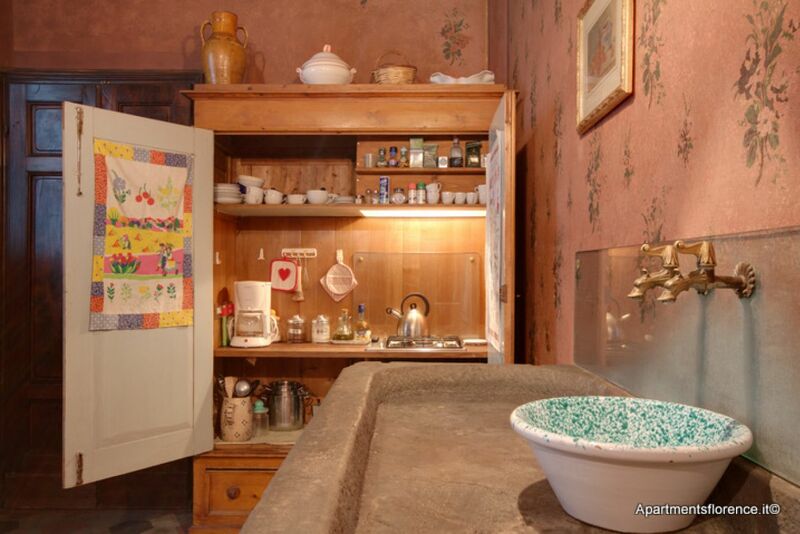 Here you can buy your fresh foods from local people. 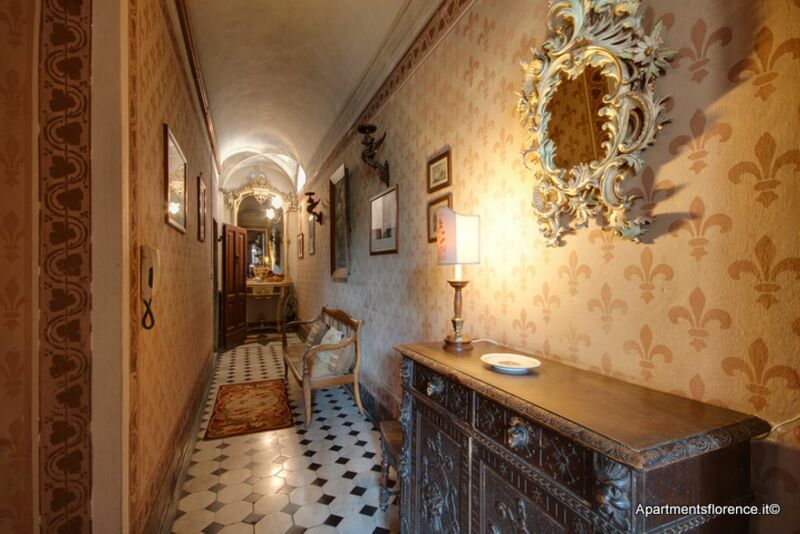 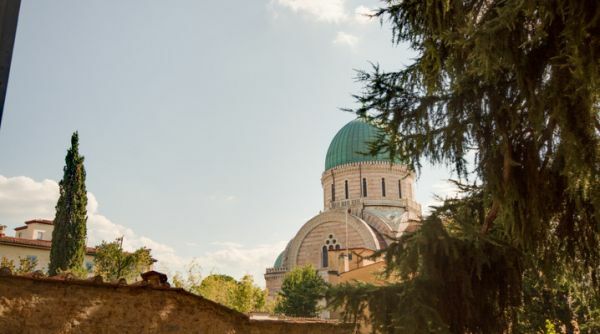 Borgo la Croce is also nearby that has many retail shops, cafes, pizzerias and restaurants. 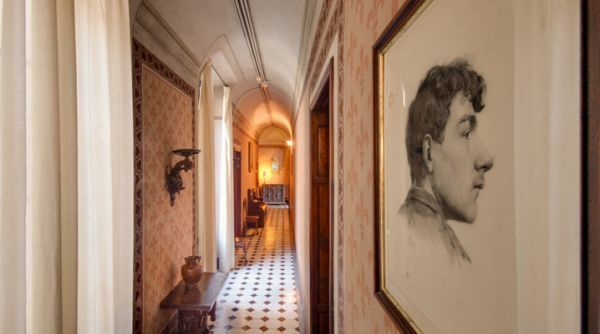 The historical palace was recently renovated with modern comforts, while maintaining its original décor from the 16th, 17th and 18th century. 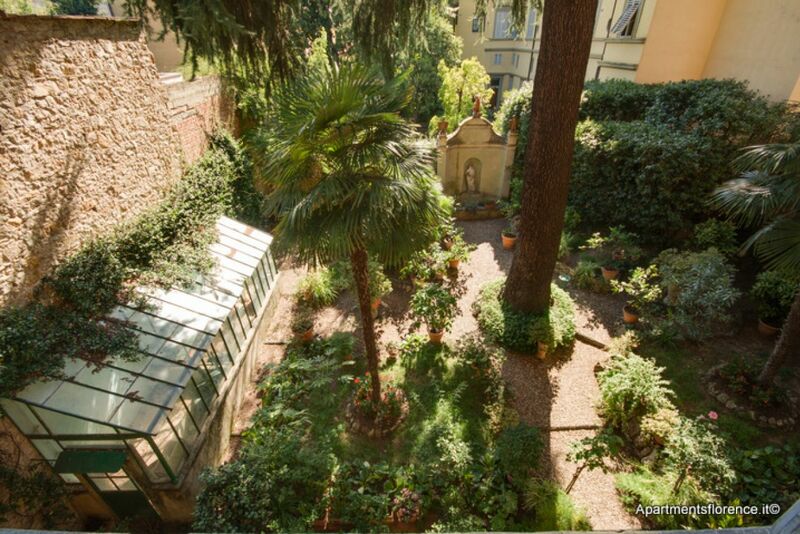 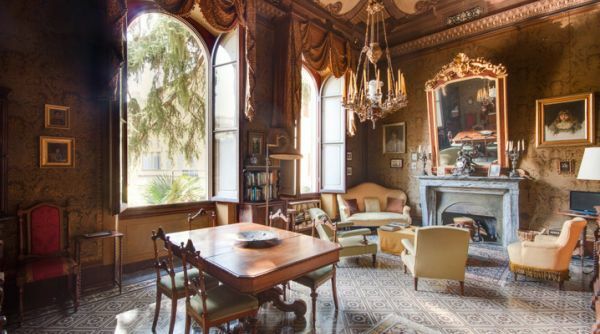 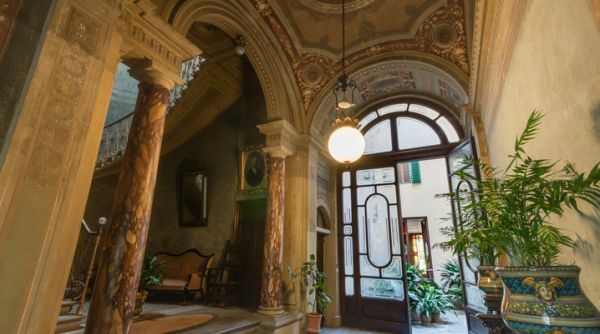 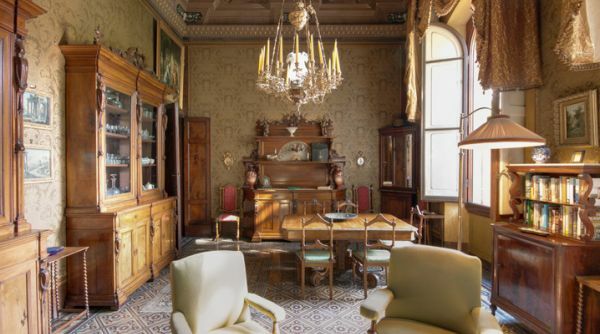 Here you have an opportunity to live exactly how the Florentine noble families lived during the Renaissance. 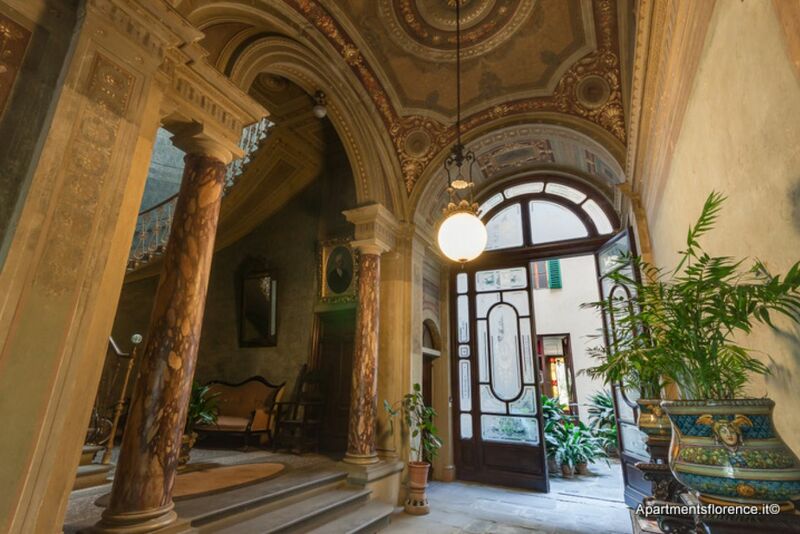 The apartment is located on the first floor with elevator. 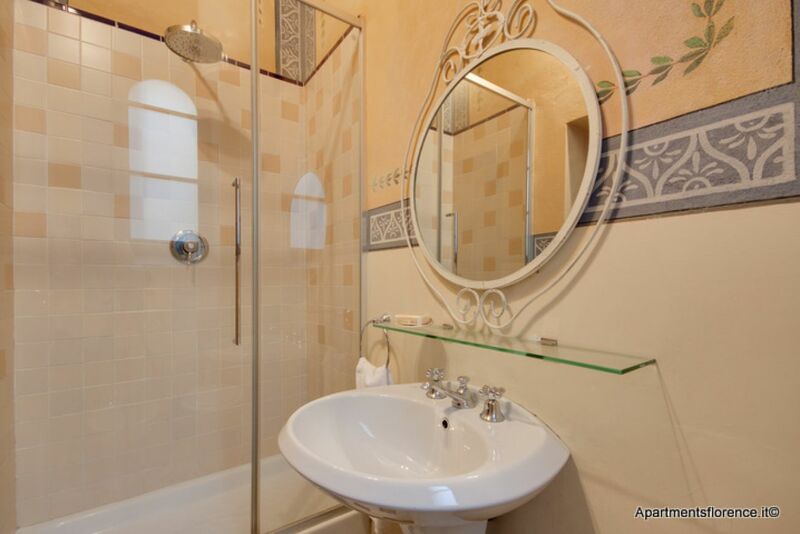 There is a large living and dining room area, two spacious bedrooms and two bathrooms. 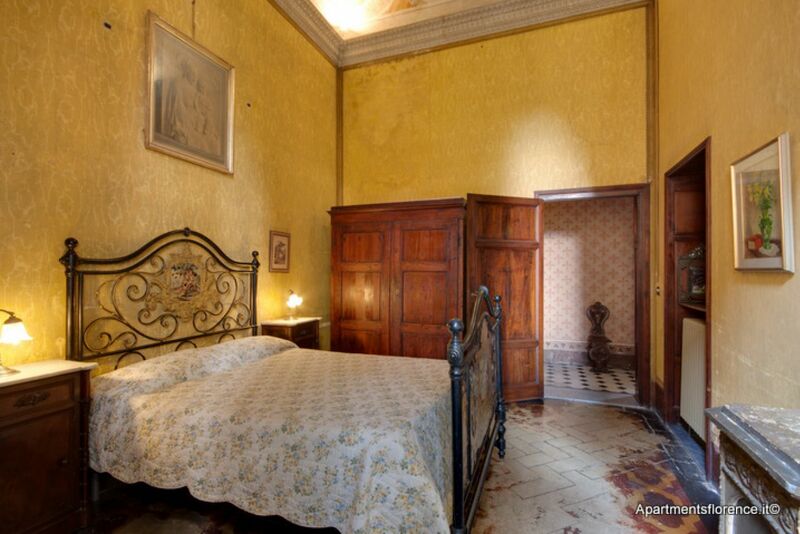 There is a double bedroom and a second bedroom with two single beds. 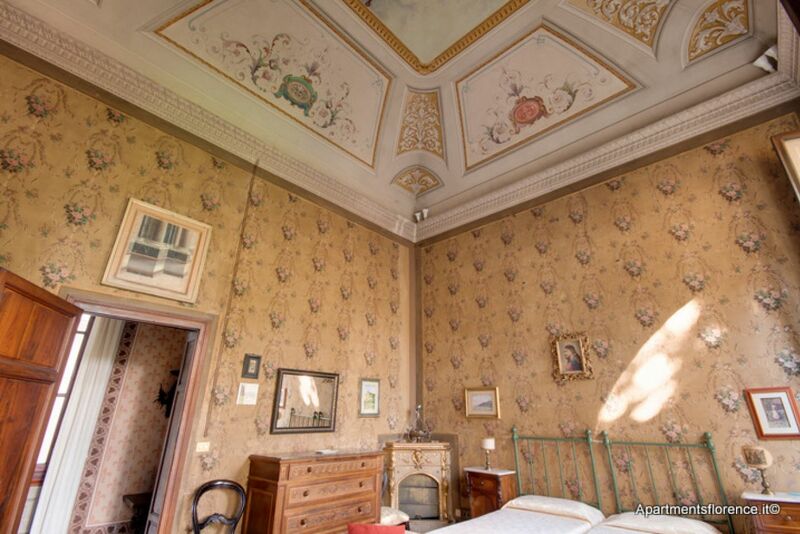 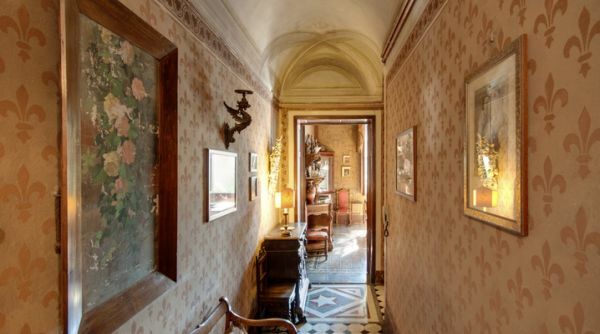 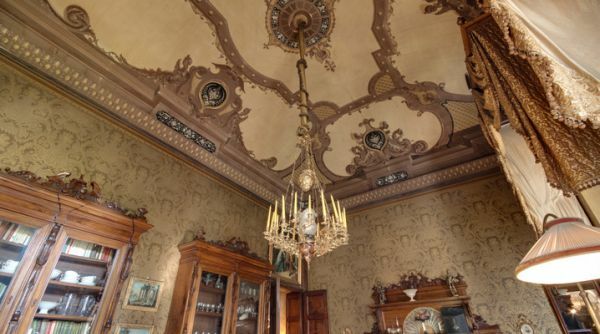 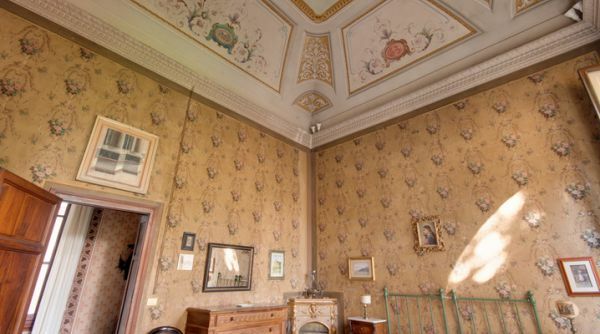 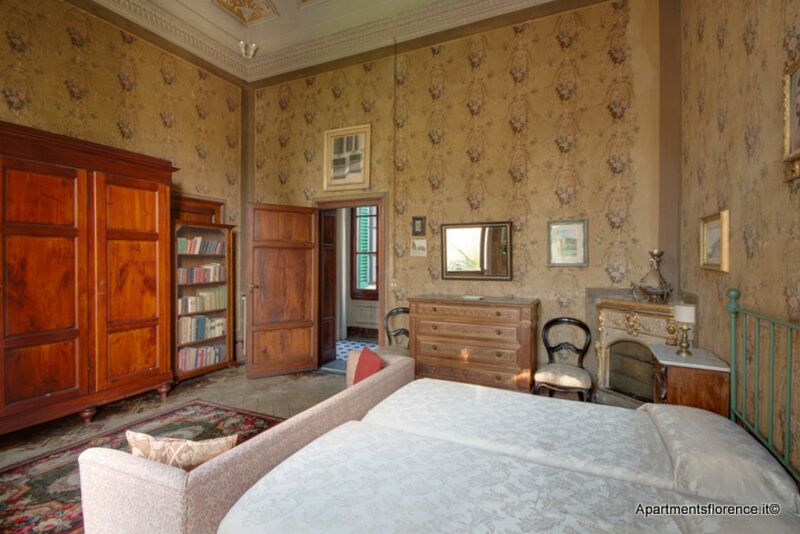 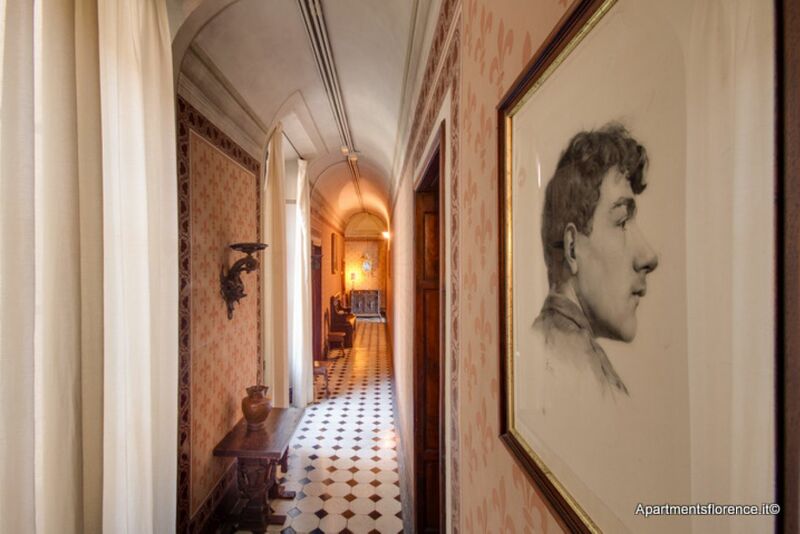 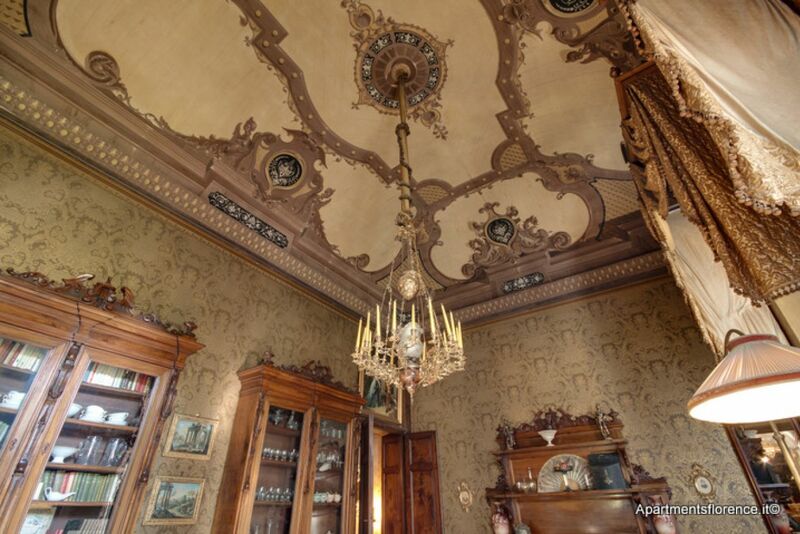 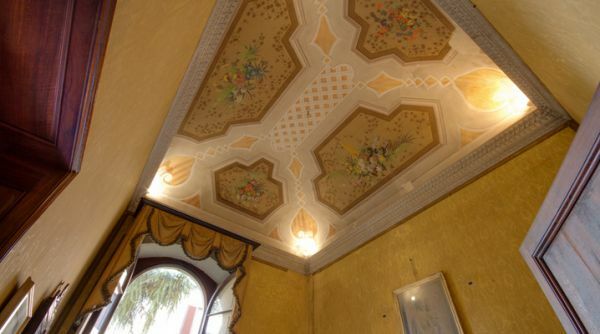 The ceilings and walls are beautifully adorned with Florentine designs. 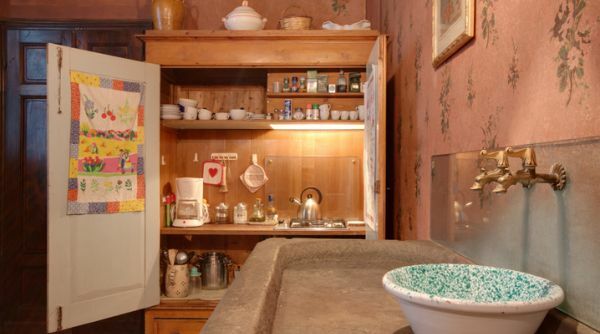 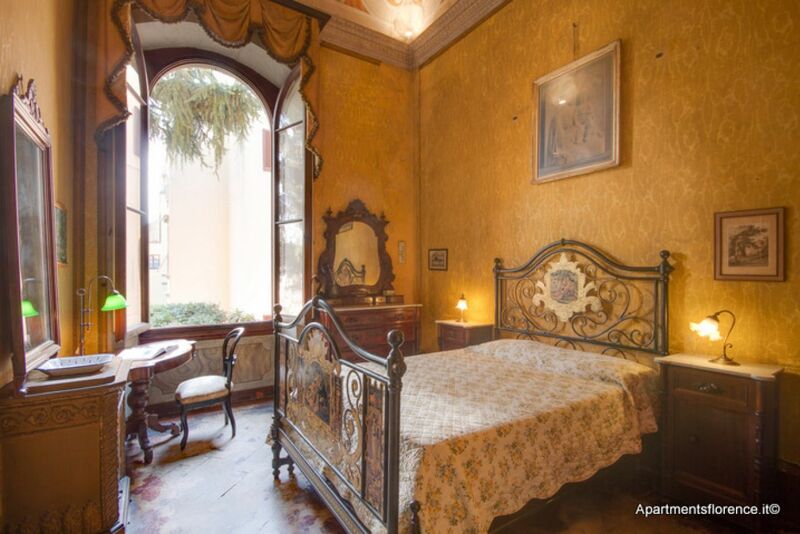 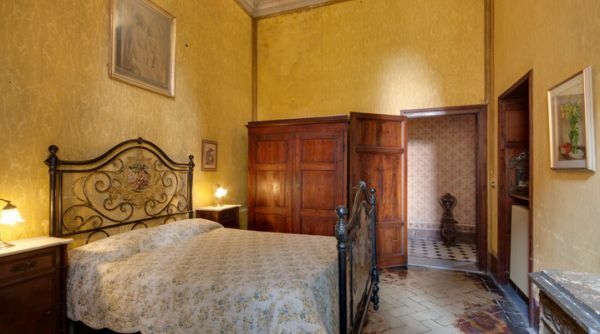 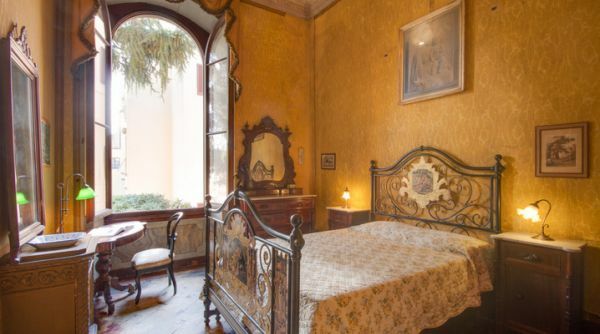 For larger groups, this apartment is in the same building as the Appartamento Sala Rosso that can sleep two people.